Back in February, I had the opportunity to attend a three-day workshop on Project-Based Learning given by the Buck Institute for Education. Throughout the course of the three days, each participant planned, got feedback on, and revised a PBL project for their classroom. I chose to expand on a project I already did because either I'm lazy or I actually liked the project and wanted to make it better instead of just starting from scratch. 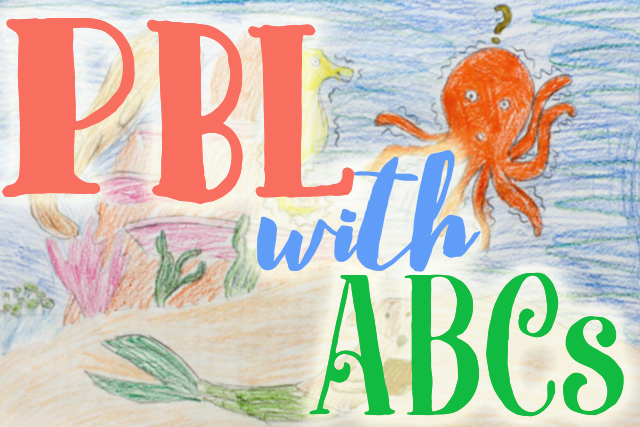 Last year, my students made ABC books in groups of three. They chose a verb for each letter and used some of the letters in a sentence. While I liked the finished product, I felt that a lot of class time was spent creating illustrations for the book, and it was hard for students to accomplish all my directives in the given time frame (I ended up having to loosen the requirements). 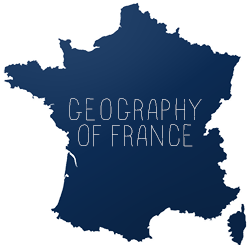 -I wonder, could the books be shared with students in France? -I wonder if having students do less (maybe 2 letters) would lead to a better product? -I wonder if you could have students share these with elementary students? -I wonder if a local bookstore could partner up for an evening of ABCs? 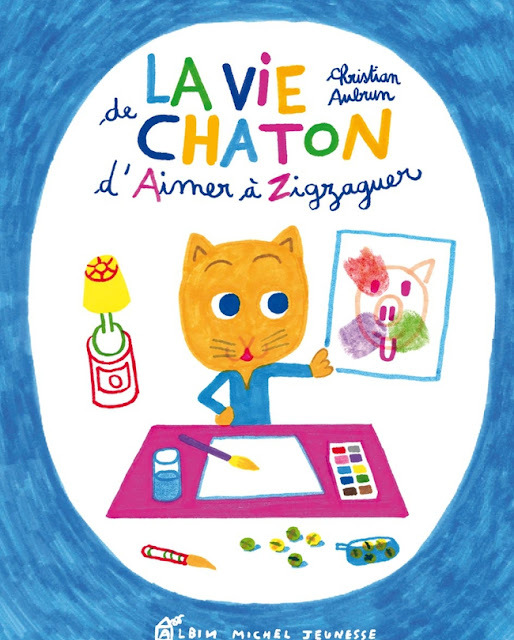 I started by reading them all this wonderful ABC book, La vie de chaton, which is written in very simple French. There is a verb for every letter of the alphabet. It also tells the story of a cat family. I did remove a couple of letters due to feeling the content might have been too "giggle-inducing" for American seventh graders. Together each class came up with a theme, characters and a basic storyline. Then they broke out into groups and each took two letters to write and illustrate. Our instructional technologist, who was at the PBL training as well, was in the classroom while the students were creating with technology. I chose PowerPoint as the tool, since our district uses Microsoft Office 365, so the collaboration between students was supposed to be very easy. The idea was that students would all have access to their class' PowerPoint, and groups would add their slides. Unfortunately, due to a number of problems on Microsoft's end, we had to retool the mechanics of the project. First, we switched from iPads to laptops for ease of use. Secondly, students each created a PowerPoint file with their slides and shared them with me and the instructional technologist to be digitally compiled at the end. Another important component of PBL is feedback and revision. After groups finished their slides, they went to another group's laptop and left "I like"/"I wonder" comments similar to the ones we left for each other at the PBL workshop. Fun fact: The time stamps are definitely not accurate. We do not have school at 5:00 in the morning! After they were completely done writing their sentences, they made their illustrations either by hand, in Microsoft Paint, or on the iPad (which they then had to email to themselves to import to their PowerPoint). After I compiled the ABC books, we went through them as a class and everyone had a chance to check the spelling and grammar for accuracy. Then I published them to the blog. "All the pictures fit well together with the theme." "The sentences were really unique and well thought out." "It was well constructed." "The plot was interesting!" "It had a great storyline and it was very easy to follow." 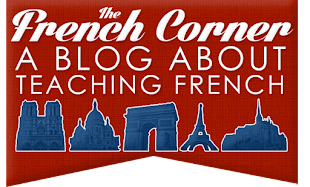 "They used their French very well and they didn't just use simple sentences." "I like how it actually took place in an area we know." "The French language was used well." "The verbs were really good choices." "It kept us on our toes." -One student said it was his favorite thing we did all year! -The "broader audience" piece is another major component of PBL, which contributes to the authenticity of the task. I had intended for students to share these projects with younger students in the building, but due to extenuating circumstances, there was no time. I plan to explore this idea again next year. On the bright side, I did publish the projects to both my classroom blog and here, so there is the potential for an audience outside the classroom. -Before we started experiencing the technical difficulties with Microsoft that greatly slowed down the digital collaboration piece, I had wanted students to break out into committees to take care of illustrations, voiceover, and companion worksheets. If I can find a program that more efficiently facilitates digital collaboration, I think those extra components would make the project even more worthwhile. Now it's your turn for "I like"/"I wonder"! What did you like about this project and what do you wonder about that could be improved or expanded upon? I like the creativity of the verbs such as jaser and kiffer. I like that this activity pushed your students out of the cognate zone. I wonder whether you could collaborate with the art teacher. I wonder whether you could add recording of the students reading their sentence. I wonder whether you could present these via Skype either to another class (French or learners of French), or to one of the authors that you used as an example. Thank you for sharing your ideas. I really like how you decided to improve your ideas and get the students to work together as a class to create a book. I can imagine how interactive this lesson was. As a future primary school teacher, I am curious about how to implement this activity for my students. What age group do you think this activity would be more suited to? I am also curious about how long the activity might take, because you chose to do the story as a class to save time for more in-depth learning rather than just colouring the pictures. I really like how you got students to brainstorm what they look for in the alphabet book. What a great way to give students autonomy and still keep the lesson structured. I wonder about how you assess the students. Did you assign each page to a student to complete and then assess them? Or, were the “I wonder” sticky notes part of their self-assessment? I am also curious about what the students could do once they have finished their assigned letters of the alphabet. Could they make more than one sentences per letters of the alphabet? Thanks for your feedback and questions! I think this activity could be done with upper elementary school students, but it would be more challenging with younger students. The activity took about a week, but it wasn't all done in succession. I assessed the whole class on if the book met my criteria and their criteria for a successful book, and then I assessed the work the students did in small groups separately, and combined that. Once students were finished, I gave them an additional letter. That's why some groups don't have as many letters - no groups finished early. This is such a great project and I like that you did it by class, rather than several groups in each class. It really gives them a sense of ownership because their whole class produced it. The quality of their sentences is great! Posting it online is reaching a broader audience, no doubt! !